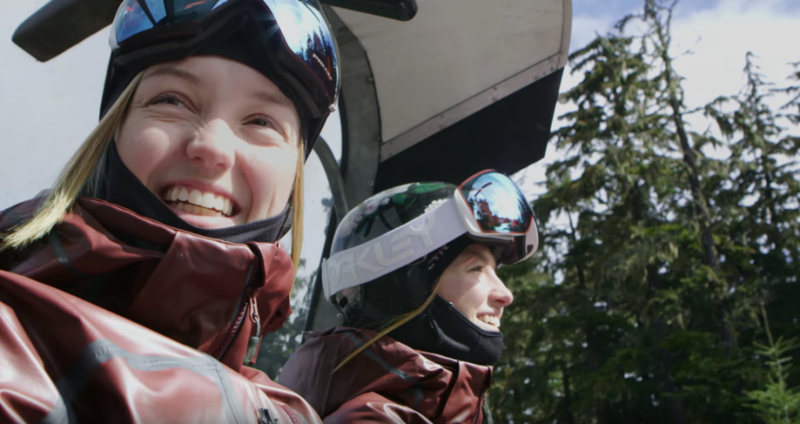 Dufour-Lapointe Sisters star in Columbia’s new Freestyle Canada sponsorship commercial | DULCEDO | A management agency representing models, influencers and social media stars for fashion, editorial, advertising and commercial bookings. : DULCEDO | A management agency representing models, influencers and social media stars for fashion, editorial, advertising and commercial bookings. Columbia, a global leader in active outdoor apparel, footwear, accessories and equipment is the active main apparel sponsor of the Canadian freestyle ski teams. At the forefront of the partnership are the Dufour-Lapointe sisters. To promote the brand’s relationship with Freestyle Canada, Dulcedo’s Canadian athletes took the lead in a commercial called “Tested Tough” to cap off the 2017 ski season. The video shares the rigorous training and competition these athletes go through regularly to become the best in the world. They are naturally the perfect ambassadors to push Columbia’s product to its ultimate test.